Sgt. Aaron Duvel, Mt. 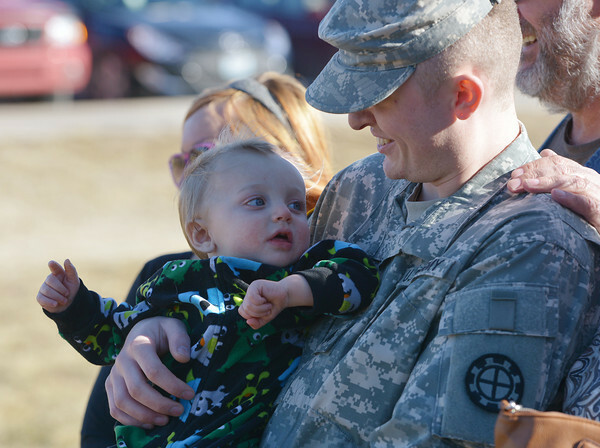 Vernon, holds his nephew Benjamin Eakins, 1, following Monday's deployment ceremony.